How accurate are your inventory balances? How often do you count your inventory? How often do you stockout of particular items in inventory? Tracking inventory is a critical component of any effective inventory control program, and RedBeam’s proven inventory control tools can help make your life easier and your business more profitable. We’ve designed this inventory software to make it as easy as possible to setup and use. With minimal effort, we can help you put inventory system software in place that will help save you time and money. Do you currently keep track of inventory with hard-copy forms or spreadsheets? Think most inventory management software is too expensive or complex? 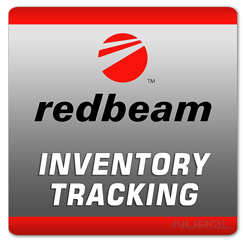 Try RedBeam Inventory Tracking. We think you’ll be pleasantly surprised. RedBeam supports a variety of industry-specific labels regulations, including: GHS, UDI, PTI and many other regulation specifications.